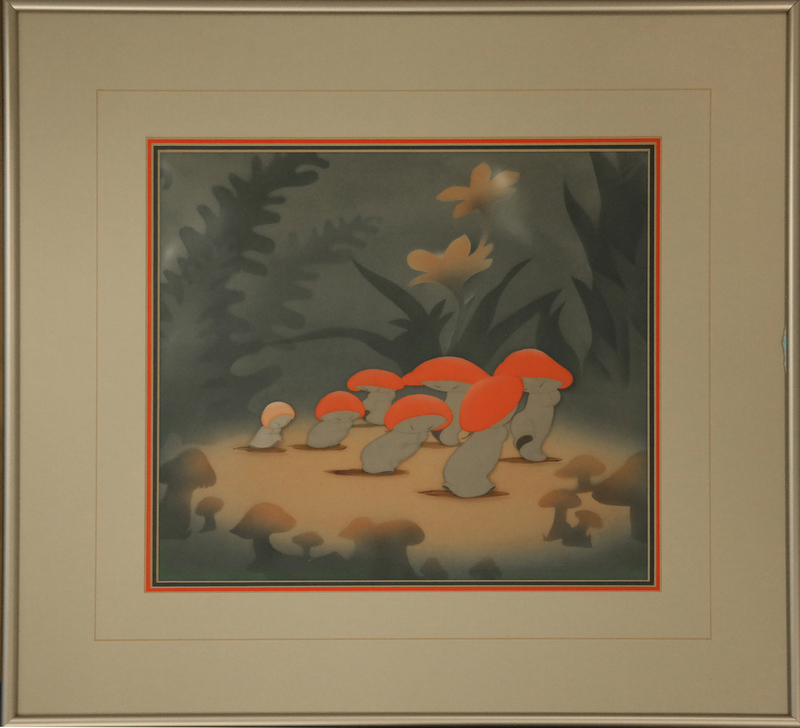 Original production cel of the dancing mushrooms from the Nutcracker Suite segment of Fantasia. This piece was originally prepared by the studio for sale at the Courvoisier Gallery, features a custom background common of these set-ups, and comes framed and the mat opening measures 10" x 11". It is very rare to find an image as stunning as this one is, featuring the little mushroom, Hop Lo.